Here is a beautiful goodnight wish to send to your love/friends/family to celebrate a rainy night. A rainy night gives you a romantic feeling. Couples like the rainy night the most as it would be a perfect situation to spend your private time with your dear love. 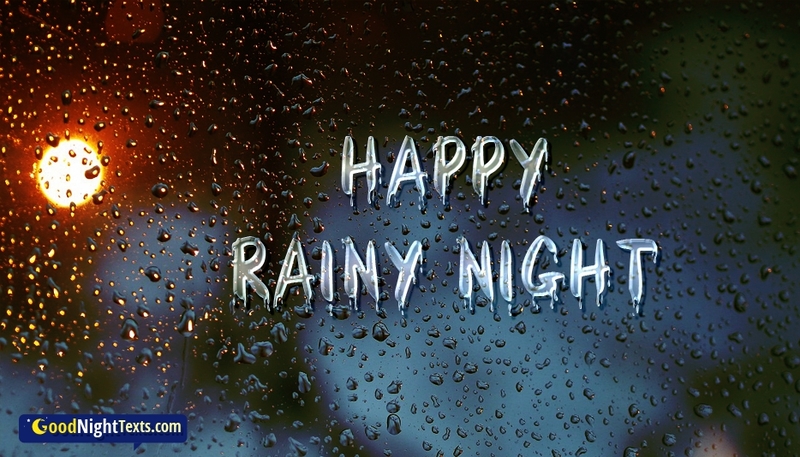 Celebrate this rainy night with this "Happy Rainy Night" picture and create romantic moments.